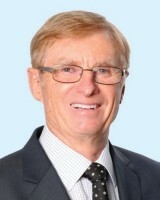 Fok Kin Ning, Canning, aged 67, has been a Director since February 1999. Mr Fok has been a non-executive director of CK Hutchison Holdings Limited (“CKHH”) since January 2015 and was re-designated as an executive director and group co-managing director of CKHH in June 2015. 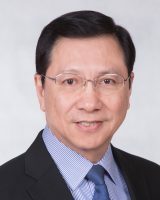 He has been a director of Cheung Kong (Holdings) Limited and Hutchison Whampoa Limited (“HWL”) since 1985 and 1984 respectively, both of which became wholly owned subsidiaries of CKHH in June 2015. 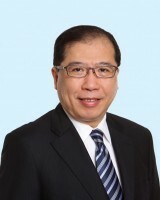 He has been chairman and a non-executive director of Hutchison Telecommunications Hong Kong Holdings Limited (“HTHKH”) since 2009 and of Hutchison Port Holdings Management Pte. Limited (“HPHM”) as the trustee-manager of Hutchison Port Holdings Trust (“HPH Trust”) since 2011, an executive director since 1985 and chairman since 2005 of Power Assets Holdings Limited (“Power Assets”), chairman and an executive director of HK Electric Investments Manager Limited (“HKEIML”) as the trustee-manager of HK Electric Investments (“HKEI”) and of HK Electric Investments Limited (“HKEIL”) since 2013, co-chairman of Husky Energy Inc. (“Husky Energy”) since 2000, and an executive director and deputy chairman of CK Infrastructure Holdings Limited (“CKI”) since 1997. The aforementioned companies are either the ultimate holding company of HTAL, or subsidiaries or associated companies of CKHH in which Mr Fok acts as chairman, co-chairman, deputy chairman or director for the purpose of overseeing the management of such businesses. He was previously alternate director to a director of HTHKH from 2010 to July 2016. Mr Fok has also been a director of VHA since 2001. He holds a Bachelor of Arts degree and a Diploma in Financial Management, and is a Fellow of Chartered Accountants Australia and New Zealand. Barry Roberts-Thomson, aged 69 has been a Director since February 1989 and was Managing Director of HTAL from its inception in 1989 until September 2001. In his capacity as Deputy Chairman, Mr Roberts-Thomson represents HTAL in government relations and strategic projects and has served as a director of VHA since 2001. Justin Herbert Gardener, aged 82, has been a Director since July 1999. Mr Gardener has been a director of a number of private and publicly listed companies including Austar United Communications Limited (appointed 1999 and retired 2008). From 1961, and until his retirementin 1998, Mr Gardener held a variety of positions with Arthur Andersen, becoming a partner in 1972 and for the last ten years in a management and supervisory role for Asia Pacific. Mr Gardener is a Fellow of the Institute of Chartered Accountants and an Associate of the Governance Institute. 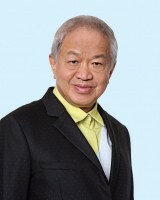 Lai Kai Ming, Dominic, aged 65, has been a Director since May 2004 and Alternate Director to Mr Sixt since May 2006 and to Mr Fok since December 2016. Mr Lai has been an executive director and deputy managing director of CKHH since June 2015. Since 2000, he has been a director of HWL which became a wholly owned subsidiary of CKHH in June 2015. Mr Lai has been a non-executive director of HTHKH since 2009 and alternate director to directors of HTHKH since 2010. He has been alternate director to a director of TOM Group Limited (“TOM”) since August 2016. He has been a member of the board of commissioners of PT Duta Intidaya Tbk since May 2018. The aforementioned companies are either the ultimate holding company of HTAL, or subsidiaries or associated companies of CKHH in which Mr Lai acts as director or commissioner for the purpose of overseeing the management of such businesses. He has also been a director of VHA since October 2016. He was previously Alternate Director to Mrs Chow Woo Mo Fong, Susan, a then Director of HTAL from 2006 to July 2016. Mr Lai has over 35 years of management experience in different industries. He holds a Bachelor of Science (Hons) degree and a Master’s degree in Business Administration. John Michael Scanlon, aged 77, has been a Director since July 2005. Mr Scanlon is a special venture partner to Clarity Partners LLP, a private equity firm. 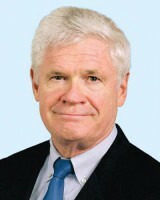 From 1965 through to 1988, his career was with AT&T, primarily Bell Labs, rising to group vice president of AT&T. Mr Scanlon then went on to become president and general manager of Motorola’s Cellular Networks and Space Sector, founding chief executive officer of Asia Global Crossing, chief executive officer of Global Crossing and chairman and chief executive officer of PrimeCo Cellular. 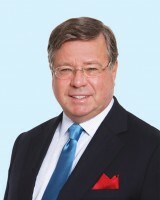 Frank John Sixt, aged 67, has been a Director since January 1998 and Alternate Director to Mr Lai since February 2008. Mr Sixt has been a non-executive director of CKHH since January 2015 and was re-designated as an executive director, group finance director and deputy managing director of CKHH in June 2015. Since 1991, he has been a director of Cheung Kong (Holdings) Limited and HWL, both of which became wholly owned subsidiaries of CKHH in June 2015. He has been chairman and a non-executive director of TOM since 1999 and an executive director of CKI since 1996. Mr Sixt has also been a director of Husky Energy since 2000. He has been alternate director to a director of HKEIML as the trustee-manager of HKEI and of HKEIL since 2015. The aforementioned companies are either the ultimate holding company of HTAL, or subsidiaries or associated companies of CKHH in which Mr Sixt acts as chairman or director for the purpose of overseeing the management of such businesses. Mr Sixt was previously a non-executive director of HTHKH from 2009 to December 2016 and of HPHM as the trustee-manager of HPH Trust from 2011 to December 2016. He was previously a non-executive director (re-designated from an executive director to a non-executive director in January 2014) of Power Assets from 1998 to December 2016. He has also been a director of VHA since 2001. He was previously Alternate Director to Mrs Chow Woo Mo Fong, Susan, a then Director of HTAL from 2008 to July 2016. Mr Sixt holds a Master’s degree in Arts and a Bachelor’s degree in Civil Law, and is a member of the Bar and of the Law Society of the Provinces of Québec and Ontario, Canada. 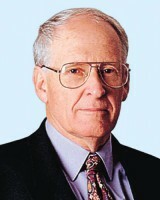 Ronald Joseph Spithill, aged 77, has been a Director since November 2010. Mr Spithill was a director of Telecom Corporation of New Zealand Limited from 2006 until 2011 and serves on a number of NGO boards. Mr Spithill has also been a director of VHA since 2010. He was previously president of Alcatel Asia Pacific responsible for operations in 16 countries, executive vice president and chief marketing officer of the Paris-based Alcatel group and vice-chairman of Alcatel Shanghai Bell. He has been chief executive officer and chairman of Alcatel Australia. 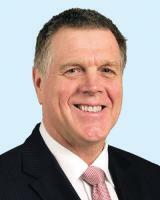 He is a past president of the Telecommunications Industry Association of Australia and served with the AEEMA Board, the Australian Business Council, the Malaysian Government Industry Advisory Panel, the New Zealand Independent Industry Oversight Group, the NSW Government IT Advisory Board and the Australian Government “Goldsworthy” Committee. Mr Spithill is a Fellow of the Australian Academy of Technological Sciences and Engineering and a Distinguished Fellow of the Telecommunications Society of Australia. Woo Chiu Man, Cliff, aged 65, has been a Director since August 2016. Mr Woo has been an executive director and chief executive officer of HTHKH since January 2017 and was re-designated as co-deputy chairman and a non-executive director of HTHKH in August 2018. He has been alternate director to a director of VHA since October 2016. He held various senior technology management positions in the telecommunications industry before joining in 1998 the group of HWL. He was deputy managing director of Hutchison Telecommunications (Hong Kong) Limited from 2000 to 2004. He was also an executive director of Hutchison Telecommunications International Limited from March 2005 to December 2005. He was seconded to VHA as chief technology officer from 2012 to 2013 and was part of the core management team. He possesses extensive operations experience in the telecommunications industry and has been involved in cellular technology for over 30 years. Mr Woo holds a Bachelor’s degree in Electronics and a Diploma in Management for Executive Development. He is a Chartered Engineer and also a Member of The Institution of Engineering and Technology (UK) and The Hong Kong Institution of Engineers.